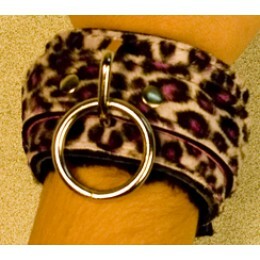 Animal Print Purple cuffs with fur lining for comfort. We build our cuffs to last, they can withstand the toughest of customers. They come standard with locking buckles.